In the event of an accident involving a large commercial trucking company, it is likely that there will be an investigation and potentially civil or criminal penalties depending on the circumstances and cause of the collision. In the recent FedEx accident that killed 10 people when the truck burst into flames, the company is already facing wrongful death claims, including one filed this week by the mother of a student who was killed in the fiery crash. The lawsuit alleges that FedEx trucks are known to catch fire and that the company was negligent in resolving the dangerous defect. This is the first lawsuit filed in the action and the mother-plaintiff is seeking $100 million in damage on behalf of her daughter, the young female victim, one of five students killed in the crash. Our car accident attorneys in Boston are experienced in handling complex claims involving deadly collisions. We understand the gravity of every case and work strategically to maximize compensation for victims. In similar cases throughout Massachusetts, we have helped victims and their loved ones bring justice against negligent parties and recover the compensation they deserve. According to reports, the 17-year-old victim was an honors student and had received a scholarship. She was heading north with other teens to a Northern California university when the bus was struck head-on by the allegedly flaming FedEx truck. Though dozens of the teens were able escape through the windows, five students, three adult chaperones and both drivers were killed in the collision. The case is still under investigation by the California Highway Patrol and the NHTSA. Witnesses reported that the FedEx truck was on fire before it crossed the median and struck the oncoming truck. The complaint alleges that FedEx trucks have a history of catching fire for a variety of reasons, including mechanical defects, driver error, and improper loading. FedEx declined to common on the impending litigation, but it is likely that more lawsuits will follow. In addition to the company, the complaint also names the estate of the FedEx driver and the bus company, Siverado Stages. Any case involving a large commercial trucking company will be complicated. 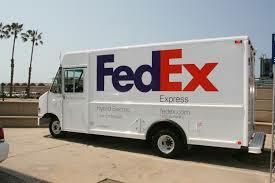 Large corporations, such as FedEx will have an experienced team of attorneys to challenge any claims made by plaintiffs. If you or someone you love has been injured in a trucking accident, it is important to seek experienced counsel as soon as possible. An independent investigation can determine the cause of the accident and identify any responsible parties. In this case, the victim’s family may be able to recover significant compensation for their losses. Wrongful death claims may entitle plaintiffs to compensation for burial and funeral expenses, any hospital bills related to the accident, loss of love, comfort, companionship, and affection, lost future wages, and any additional personal losses suffered by the family. Any wrongful death claim is likely to face significant challenges by defendants and should be handled by an experienced advocate. Contact Jeffrey S. Glassman for a free and confidential appointment to discuss your rights. Call 1-888-367-2900.